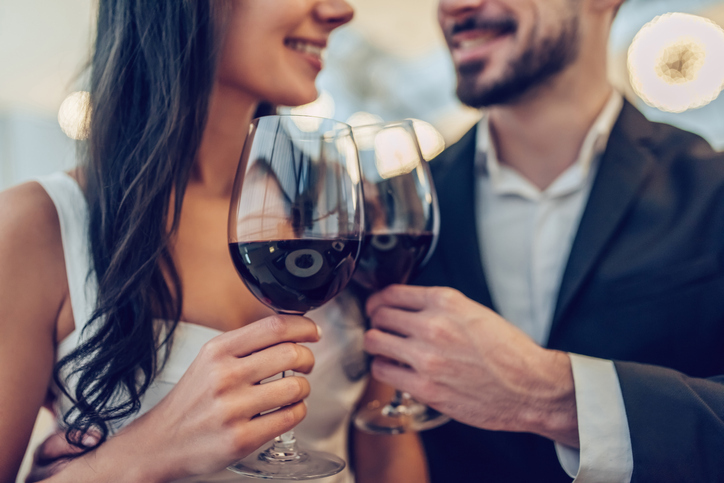 In New York City, you truly can choose your own adventure, but sometimes this means it can be a challenge to sort through everything available to you and find a really romantic date spot. There are, however, some wonderful things to experience in Manhattan that can bring two people closer together. From romantic places to eat with a wonderful ambiance to renting your own private yacht. The following date venues and experiences are beyond ordinary and are sure to enhance the romantic feelings with any date. This restaurant boasts a Michelin star and is one of the New York City’s most unique settings. It’s known around the world as a destination for those who embrace a culinary experience. It sits right at the riverside under the Brooklyn Bridge. The views here are spectacular and the food is incredible. For over 40 years, Dom Salvador has been entertaining guests here with his jazz music. This is an institution for dining and the ambiance is absolutely magical. You’ll feel the romance for your city, music, food, and wine here. This restaurant has been named one of the top 5 most romantic hotels in the world. Recently, a British model and DJ were married here. She had a huge spread in Vogue about her wedding day. It was once an old carriage house but has since been converted to a restaurant. The exposed brick, wooden French doors, décor and lighting (massive chandelier with candles adorning the rooms) all play with one another to create a perfect feeling of romance. The food is incredible too. There is a pianist here to add even more to the romantic vibe. Seeing Manhattan from the sky is a unique experience for you and your date. What could be more intimate? If you catch a helicopter after dinner, you can take in the stunning views of NYC at night. You’ll fly over the Empire State Building, the Statue of Liberty, the Manhattan Bridge, Coney Island, and the Brooklyn Bridge. There is a magic about being above New York looking down. You can arrange a customized route with your pilot or let them take you over the spots they know are the most impressive. You might want to go up the Hudson River and over Central Park. You’ll land back down in Midtown Manhattan where you can bask in the glow with your date of your over the city experience. This is a very interesting spot to have tea. It was founded by Russians who arrived and lived in New York City. At the time, it was reserved only for high society in the twentieth century. When you dine here, you feel as though you’ve gone back to a different time. In true Russian fashion, the interior is gilded in a glitzy fashion which hasn’t changed since the 1920’s. You can enjoy a three-course lunch here if you’re on an afternoon date. For an ultra-romantic date, why not rent a schooner with a teak deck and mahogany trim? Or consider a modern yacht. Whatever your nautical tastes, going on a private cruise for dinner is going to be the best seat in the house with no wait time. There are luxury yachts available to take you and your date on a scenic dinner cruise around the Manhattan area. You can leave from downtown Manhattan at Pier 11 or the west side at Pier 81. As the sun goes down, you can experience the incredible cityscape from the sea. A variety of cuisines and entertainment options can be arranged. Steve Cohen is a celebrated magician which might not seem like a very romantic date idea. The thing is, his show happens in a private suite at the Waldorf-Astoria. You have to wear cocktail attire to attend so there’s a different feeling to your normal kind of magic show affair. The Millionaire Magician’s private suite in this famous building is just as incredible as you’d expect. It’s quite an intimate crowd too with just 30 people in attendance at one time. It all happens in the living room. It’s an enchanting adventure you’ll be surprised how it brings romance to your date. Enjoy the rare and exciting voyages you can take with a date in New York City. The world is your oyster in terms of enchantment and romance in Manhattan. This is what makes dating so much fun in this diverse, incredible borough.